Get Your Home Ready for the Renewal Season! 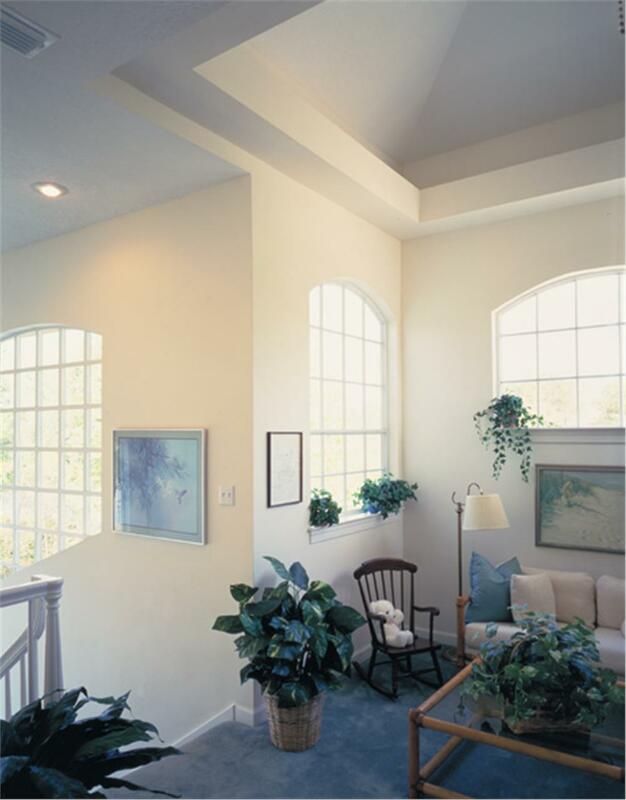 Spring is almost here, and it will be time to open the windows and invite the new season into your home. 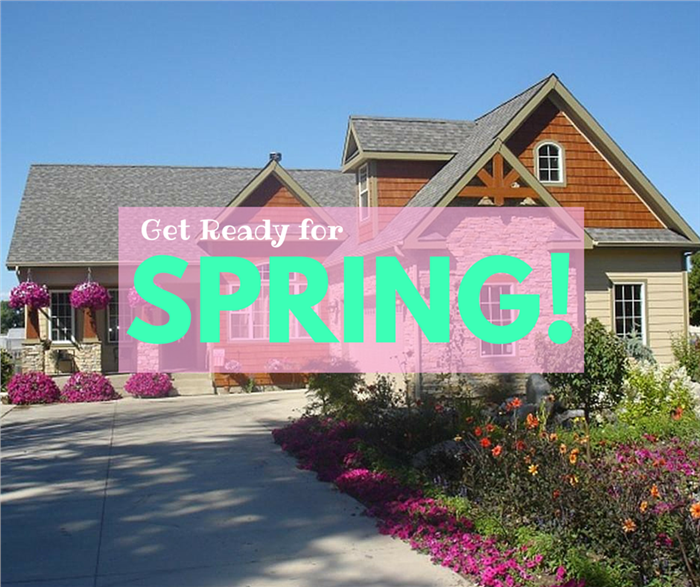 Whether you have just built your new dream home from house plans or are settled in the old family residence, there are lots of chores to be done in order to leave winter behind. Our top tips for preparing your home for spring include banishing dark and moody winter hues, casting out the cobwebs, renewing exterior – especially the landscaping – and filling your shelves with vases of fresh flowers as the sun begins to shine. 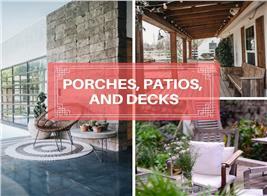 Read on to discover your essential checklist for getting your home ready for spring. Walk around the house and do a quick inspection of the outside walls. This is important even if you just built your house from a home plan the previous summer or fall, because contraction and expansion from cold and heat can open up seams and cause cracks in the shell of the structure. Check out the caulking and weatherstripping around windows and doors, and replace any that appears old or cracked. Take a look at the roof to make sure all shingles are in good shape, and clean out the gutters if necessary. Check the paint on trim and any porch or deck railings to see whether you will need to schedule a painting project for the summer. 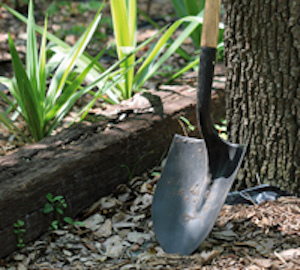 Survey your lawn and landscaping – planting beds, borders, etc. – and do whatever cleanup is necessary. Rake up stray leaves and branches brought down by winter storms; cut back ornamental grasses and decorative shrubs like butterfly bushes, hydrangea, and spirea before they start to bud; dig up and loosen the soil in planting beds if necessary; check out your concrete, paver, or brick walkways and retaining walls, and plan on when you will pressure-wash them if necessary; do an inventory of your garden tools and replace any that are worn out or broken, especially hoses that may be cracked, brittle, or broken. Part of getting ready for spring is paying attention to the outside of the house, especially the landscape. 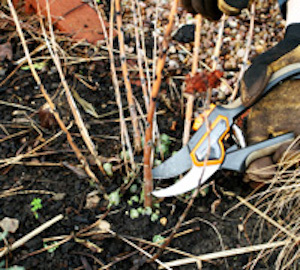 Cut back dead limbs on ornamental plants in the garden (left) and condition the soil using a shovel, fertilizer, and mulch where necessary (right). We recommend having multiple sets of linens, throws, and pillows that you can alternate with the seasons. Take a tour of your floor plan, packing away any dark colors and replaceing with seasonal pastels, bright colors, or crisp whites to instantly create a lighter ambiance in your home. The two key areas to redress are your beds and sofas, but some people even like to swap out their curtains each season. Don’t just consider color when making updating the fabrics in your home. Heavy fabrics such as tweed, velvet, corduroy or wool can all feel too heavy in spring, so pack these away too. 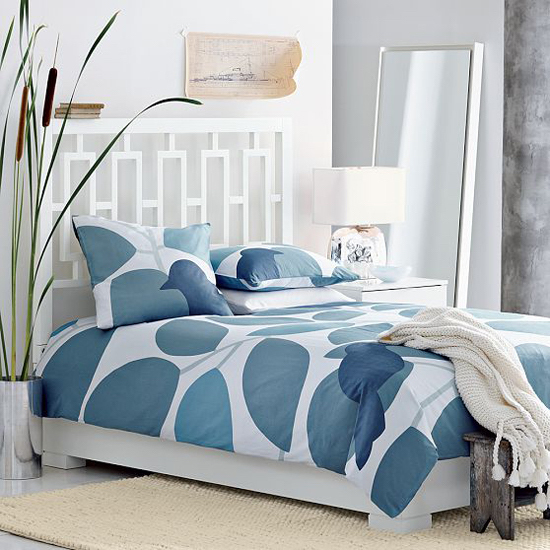 Replace with light and airy cottons, linens, and silks to instantly brighten up your home. 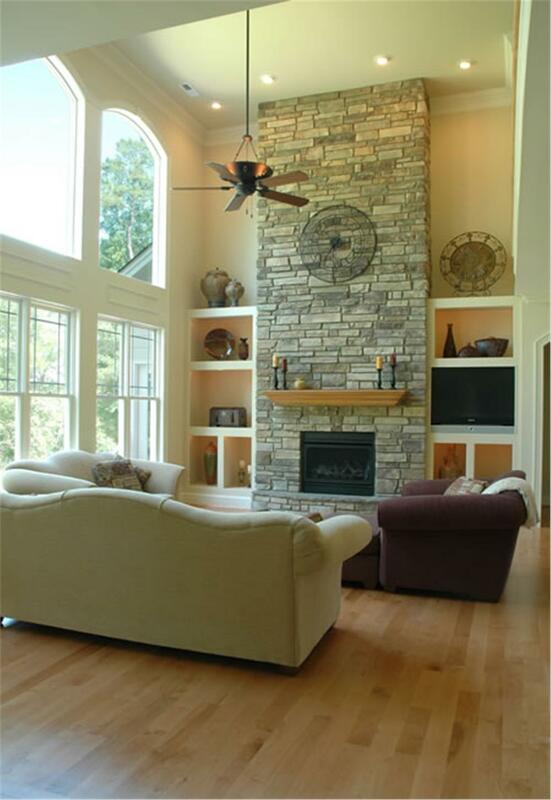 Go through your home's floor plan, and liven it up. Bright colors help you welcome spring after the drabness of winter, and lighter fabrics like cotton, linen, and silk are a welcome replacement for the heavy fabrics that warmed you during the cold season. Fill vases with fresh flowers, and pot houseplants to place in every room. Bringing the outdoors in will create a constant reminder of the awakening earth outside, and it's an easy and inexpensive way to bring color into your home. 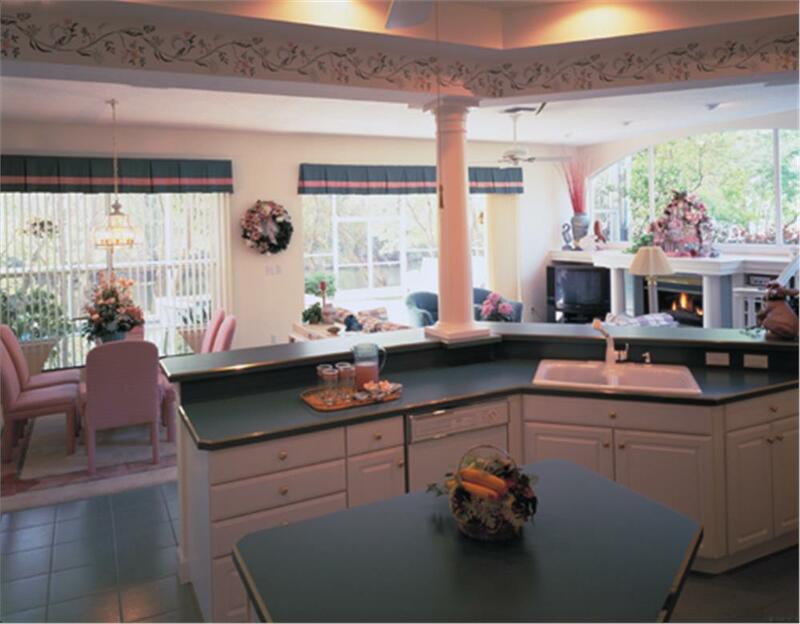 This kitchen (left) of a 2-story, 4-bedroom, 3-bath Mediterranean-style home plan is brightened by a spring wreath on the wall and flower arrangement on the table. The sitting room (right) is welcoming and restful, thanks to all the greenery (Plan # 190-1018). Now that the air is getting warmer, it is time to open all of the windows in your home and allow the fresh air to filter through, extinguishing any lingering stale aromas or sense of dust and wood smoke (if you have a fireplace or wood stove) or mustiness. Plenty of windows – open to the refreshing warmth of the spring air – are a welcome relief from the cloistered winter atmosphere in this family room of a 2-story, 4-bedroom, 3-bath Traditional Country house plan (Plan #120-2176). If you’re feeling a bit bored with your home but haven’t got the budget for renovations or new furniture, shake things up by rearranging the contents of the room. Whether that means placing your sofa against a different wall, pulling your bed into the center of the room, or simply moving around the pictures on your walls, you will instantly make a room feel fresh and new. 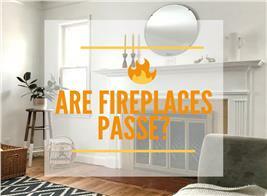 If you experimented with charcoal walls in winter, your room may now feel too dark and dingy. Or you may be bored with having pure white walls in every room in the house. 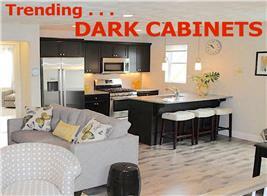 Try updating your rooms by giving the walls a fresh lick of paint, choosing from one of this year’s trending colors. Whether you opt for bold bright hues, pastel shades, or subtle shades of white, even painting one feature wall or an often-forgotten-about alcove can instantly update your room. Revitalize all of the surfaces in your home by considering the styling of feature areas such as shelves, coffee tables, and mantelpieces. Remove anything that you are bored with or that reminds you of winter, and replace with your current favorite items, plenty of plants, and pieces that speak "springs" and "renewal" to you. Put away any candles with wintery scents, and display those with citrus, floral, and natural fragrances. If you have piles of paperwork and unopened mail all around the home, now is the time to get organized and to sort through it all. Designate drawers and files for bank statements and bills; sort your DVD collection into genre; color-code the spines of your books; throw out any old beauty products; and check the sell-by-date of the items in the back of your pantry. You accumulate a lot of "stuff" over the course of a year, and your home will feel renewed once all the excess is thrown out or placed away. This office in a 2-story, 5-bedroom, 6-bath Mediterranean-style Luxury house plan feels fresh and airy after having been de-cluttered and organized (Plan # 175-1073). They don’t call it Spring Cleaning for nothing. Now is the perfect time to carry out a deep and thorough clean of your entire home, including all of the nooks and crannies that usually get forgotten about. Pull back all of the furniture; clean inside the oven; dust the top shelves; and take all of the curtains and rugs to be deep cleaned. Your house will thank you, and you will feel better.